Speed up recovery and promote muscle growth with these 4 ingredients that should be in anyone's post-workout cocktail. If you followed my recent advice about pre-workout ingredients, I imagine you're netting personal bests like they're on clearance. Congrats! But there could be a downside: As your workout intensity continues to increase, you may feel more sore, tired, and beat-up as the weeks wear on. High-intensity workouts produce huge amounts of microdamage in your muscles, which is actually one signal for your body to get bigger and stronger. The problem is, when putting this type of stress on your body, it first responds by increasing circulating cortisol and reactive oxidative species, causing more and more breakdown and potentially placing the body in the ever-feared "catabolic environment." This is the exact moment when the body responds best to post-workout nutrition—a time called "the anabolic window." It's during this window that the proper nutritional actions can turn around the catabolic environment created by your training session and kick-start recovery for your next workout. But what are the best steps? In general, the anabolic window is most sensitive to nutritional intervention within 30 minutes after your workout. Missing this window won't totally kill your gains, as people may have once believed, but getting in nutrients shortly after you train certainly won't hurt, and it can definitely help. However, 30 minutes after a lift is barely enough time to get home and shower, much less cook a meal. Because of this, it's time for your next edge: post-workout recovery supplementation. To make things easy, I've ranked the top three ingredients to help you recover from a tough workout. As with my pre-workout list, these ingredients may have multiple uses. While many ingredients may help with recovery when ingested at different times, this selection is strictly about ingredients that will help you the most immediately after training. Benefits: BCAAs—leucine, isoleucine, and valine—are the basic building blocks of your muscle protein. Leucine has been shown to stimulate muscle synthesis. Hard training sessions result in monstrous damage to your muscles, thus destroying the proteins that make up your muscle fibers. Again, this is a good thing, because with damage comes growth. But if you can avoid mass amounts of protein breakdown, you have a higher starting point to bounce back from, which ultimately leads to a higher net amount of protein synthesis—in other words, more growth! Note: A 5-gram post-workout dose will complement the BCAAs in your pre-workout. The combination of before-and-after BCAAs has also been shown to have very nice synergistic effects. Benefits: A really hard training session will crush your glycogen (stored carbohydrate) and blood glucose levels. During your workout, repeated muscular contractions quickly use up your muscles' supply of glycogen, causing GLUT-4 receptors located in your muscles to shuttle in glucose to the cells, ultimately causing a drop in blood glucose levels. Remember, when you're pushing heavy weight, you're working anaerobically, or without oxygen. This requires energy systems that feed off carbs to pump out the energy you need. It is very important to make sure you replenish these as fast as possible! When you're pushing heavy weight, you're working anaerobically, or without oxygen. If you get your post-workout carbs quickly, you can take advantage of the GLUT-4 receptors and rapidly bring glucose into your cells to replenish your glycogen stores for your next round of hard work. If you are super conscious about your carbs, dextrose seems to be the carb of choice for bodybuilders and "healthy" carb consumers. Note: You don't need a ton of carbs to get the desired effect here. Ultimately, 35 grams probably isn't going to make or break your macro ratios. Benefits: While antioxidants have a protective mechanism against free radicals that are often produced during hard training sessions, they also play a direct role in muscle anabolism. Protection against free radicals is ultimately protection against cellular breakdown, and the more cells that can be spared, the bigger your growth can be on the back end. Although research is scarce on the topic, which is why I have this ingredient in third place, antioxidants are still important enough to make it onto the podium. Note: There are many antioxidants out there. Vitamin C is great, and vitamin E is another popular choice. When paired with vitamin C, vitamin E appears to enhance the protective effects with lower delayed-onset muscle soreness scores and higher elevated oxygen radical absorbance capacity (ORAC) compared to a placebo group.3 It's important to note that there is an upper recommended limit for vitamin E of 1,000 milligrams. Benefits: I think we can all agree that creatine is awesome. And yes, it has been suggested that post-workout consumption of creatine might be the best time for absorption, but these findings are based on inferential statistics. But, because this evidence exists, creatine still gets the honorable mention. Remember, a hard workout is going to tax your phosphocreatine (PCr) energy system, which means that you'll need some creatine reloading. If you're going to have a post-workout cocktail anyway, you may as well include creatine in case there is some timing benefit. Note: It's important to note how much creatine you're taking per day. If you're taking 5 grams in your pre-workout and 5 grams in your post-workout, you're already beyond what you need for a maintenance dose. People who are trying to supersaturate their muscles when first taking creatine can take up to 20 grams per day, but you most likely only need 5 grams. Taken together, these ingredients are important for immediate post-workout supplementation. I know there are plenty of other ingredients everyone wanted to see on this list, but these are the ones I've found to be the most important and rooted in research. I know many of you are probably asking why glutamine didn't make the list. While glutamine has been shown to have positive muscle-building properties in burn victims, the same hasn't really been documented in strength-training individuals, although glutamine may have other benefits. Another immediate argument is going to be, "Why not whey protein?" This is a great question to address. As we all know, protein has been touted for its great hypertrophic and performance benefits. But for the purposes of a fast recovery, I would suggest BCAAs immediately after your workout, followed by a protein shake or protein-rich meal when you get home. 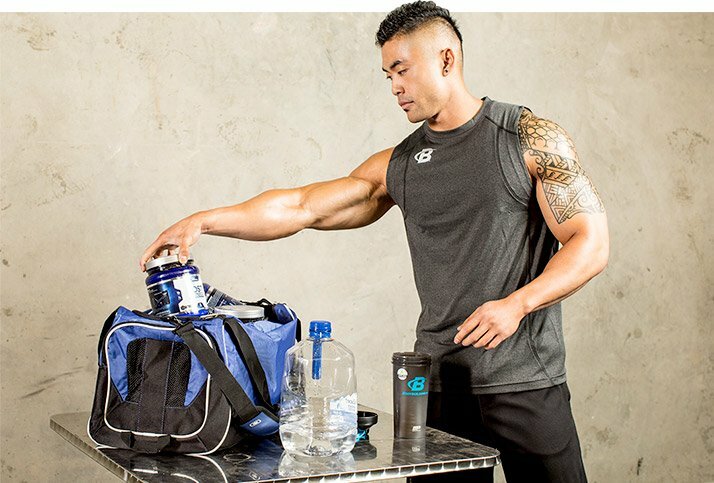 It's been suggested that the addition of leucine to carbohydrate and protein supplementation elicits a greater plasma-leucine concentration and greater net balance between protein synthesis and breakdown.4 In other words, if you take BCAAs immediately post-workout, then eat something high in protein at home, you'll have the perfect set-up for an anabolic environment in your body. Furthermore, since protein can be attained through many forms, it was selectively excluded from the supplements on this list. To maximize your post-workout recovery, don't forget to drink fluid! I know that seems like a no-brainer, but some people out there probably aren't getting enough fluid after their workouts. Also, keep in mind that your post-workout shake is just a quick supplement to get you out of catabolism and moving toward gains. After you hit these critical supplements, it's essential that you eat a whole meal. Make sure you have a nice serving of protein and carbs once you finally get to your table. Recovery awaits! The faster you recover, the harder you can go in your next training session. 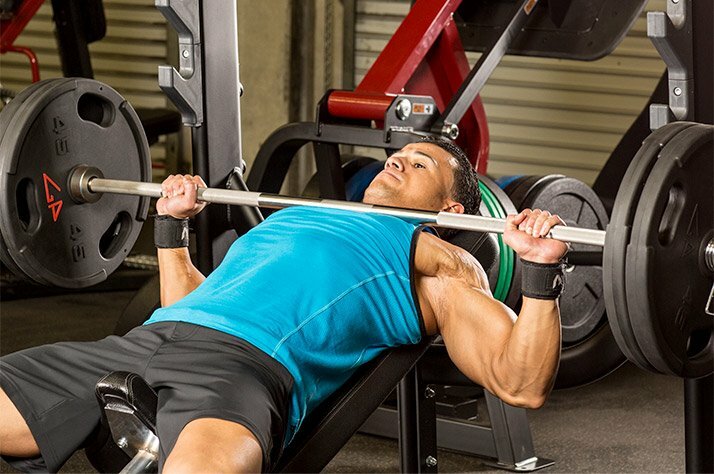 Ultimately, recovering quickly so you can maximize every workout will help you build muscle. Rasmussen, B. B., Tipton, K. D., Miller, S. L., Wolf, S. E., & Wolfe, R. R. (2000). An oral essential amino acid-carbohydrate supplement enhances muscle protein anabolism after resistance exercise. Journal of Applied Physiology, 88(2), 386-392. He, F., Hockemeyer, J. A., & Sedlock, D. (2015). Does Combined Antioxidant Vitamin Supplementation Blunt Repeated Bout Effect? International Journal of Sports Medicine. Advance online publication. Retrieved from link. Koopman, R., Wagenmakers, A. J., Manders, R. J., Zorenc, A. H., Senden, J. M., Gorselink, M., ... & van Loon, L. J. (2005). Combined ingestion of protein and free leucine with carbohydrate increases postexercise muscle protein synthesis in vivo in male subjects. American Journal of Physiology-Endocrinology and Metabolism, 288(4), E645-E653.